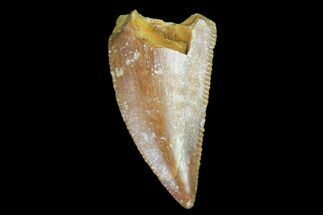 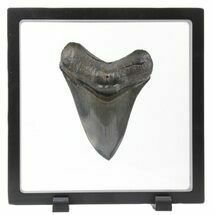 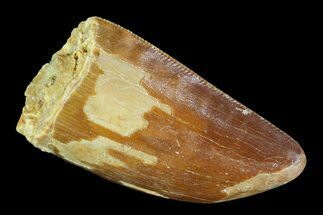 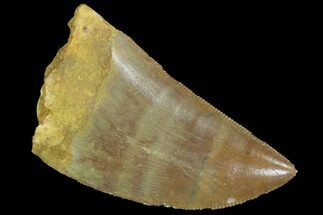 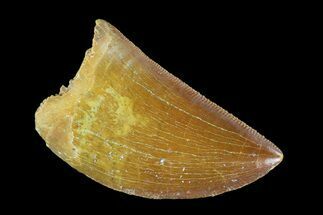 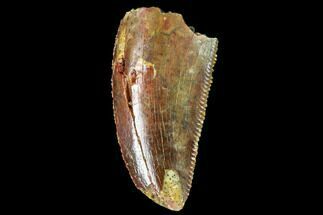 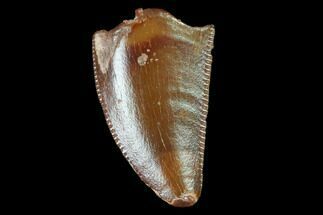 This is an authentic raptor tooth from the Late Cretaceous Kem Kem Beds (formerly Tegana Formation) of Morocco. 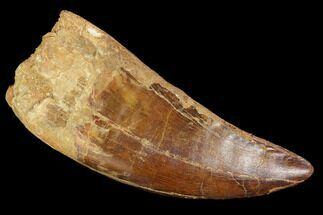 These small theropod dinosaurs from the Tegana Formation have yet to be described, primarily due to lack of articulated bone material having been found. 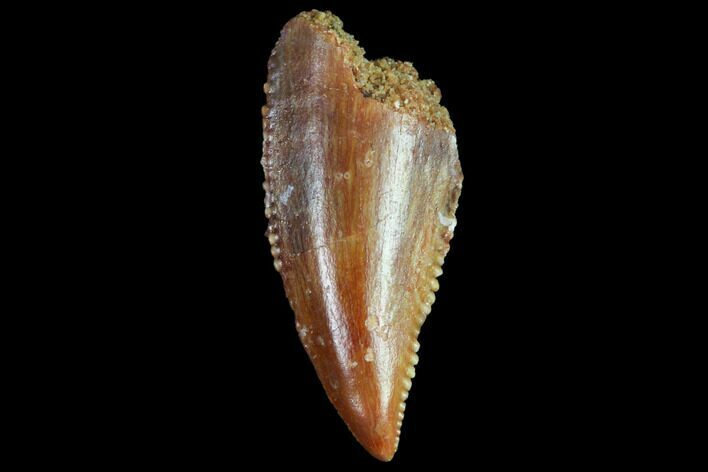 Because of this it's impossible to accurately give a species or even genus ID to these teeth. 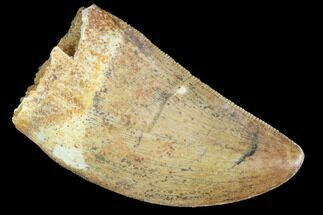 These teeth are most commonly attributed to a type of Dromaeosaur though it's more likely they are from some type of Abelisauridae. 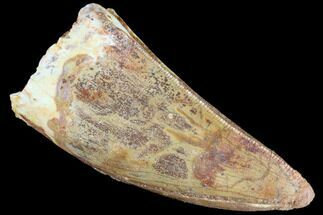 This tooth has nice enamel and serration preservation along both edges, though there is some very minor chipping to the serrations.